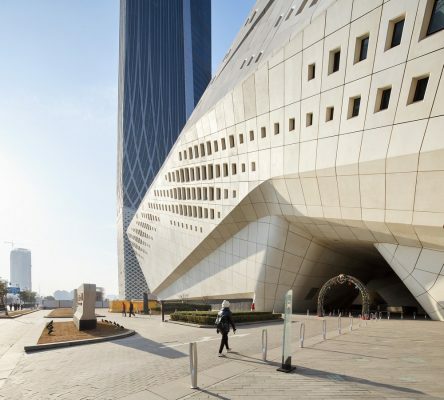 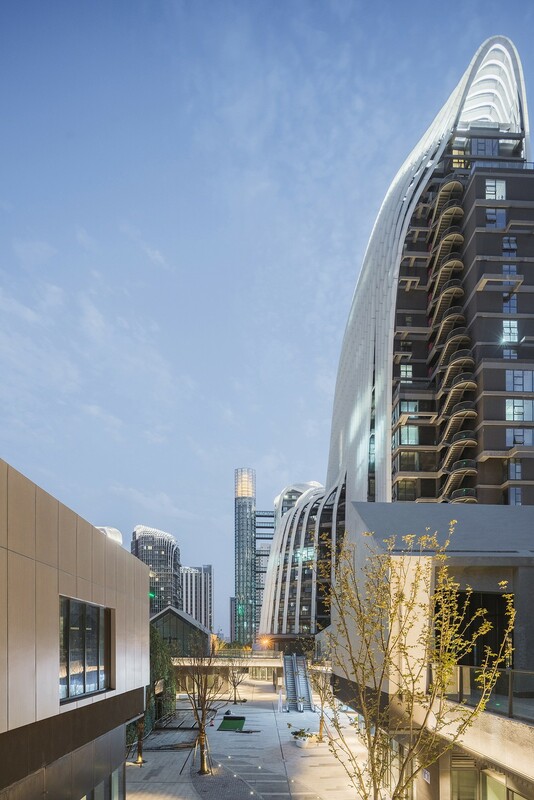 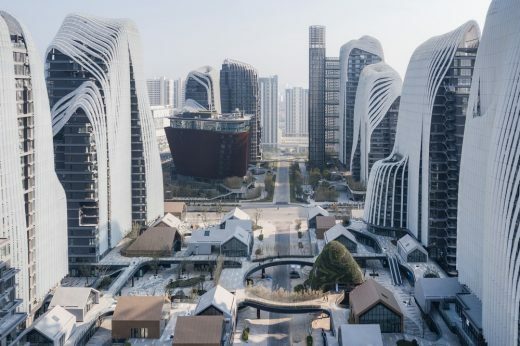 Dec. 13th, 2018 – Beijing, China – The “Nanjing Zendai Himalayas Center” is a city-scale urban project conceived by MAD Architects, led by Ma Yansong. 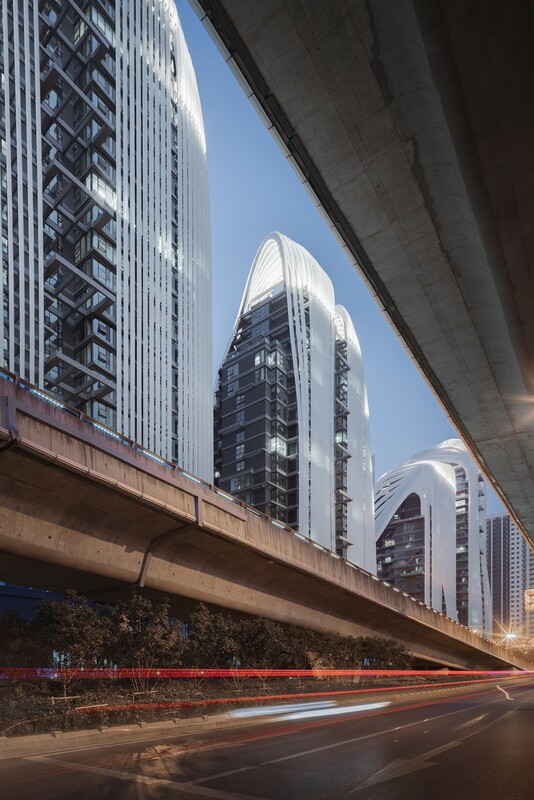 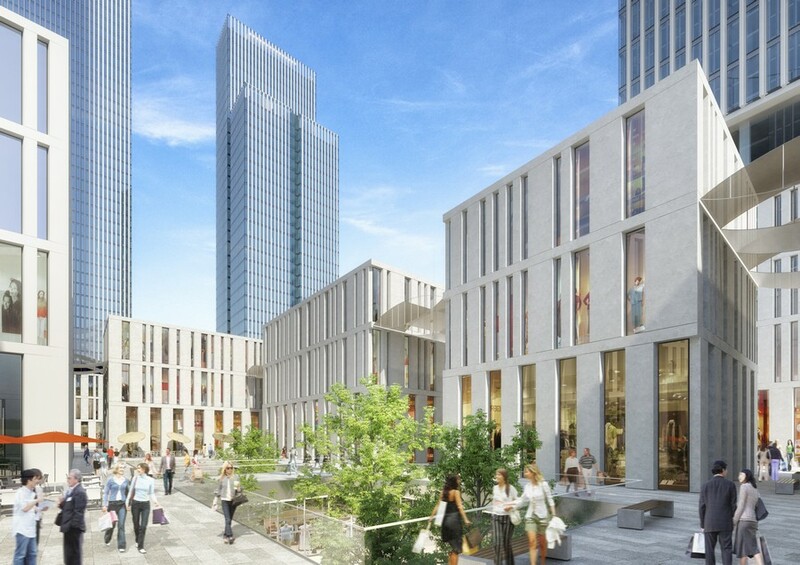 The mixed-use development has an overall building area of approximately 560,000 sqm, comprised of commercial, hotel, office, and residential programs. 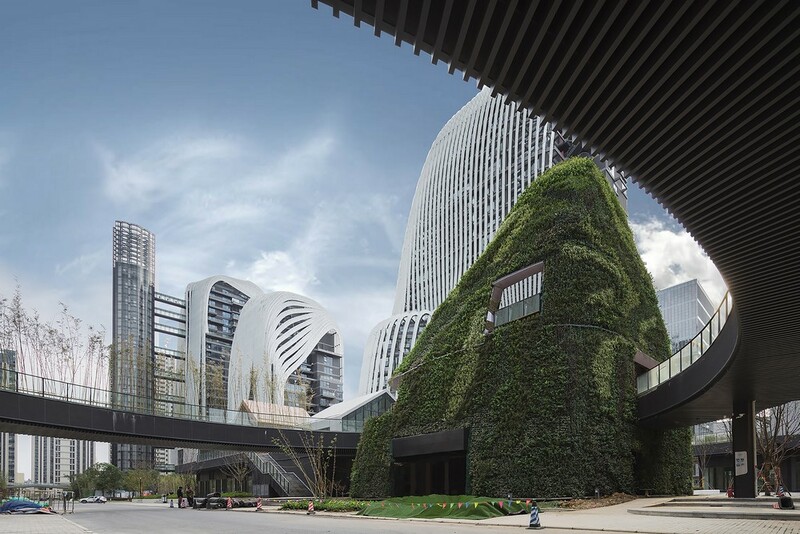 The scheme seeks to restore the spiritual harmony between humanity and nature through the integration of contemplative spaces that, while immersing inhabitants in nature, still meets the conveniences of modern day living. 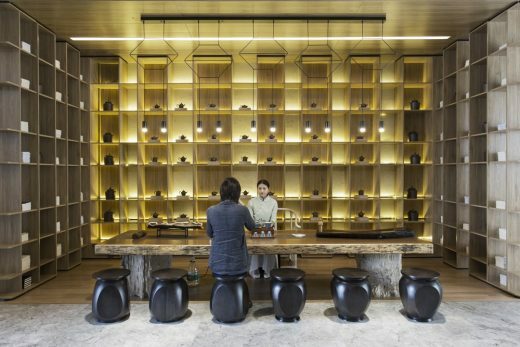 MAD’s design unfolds onto the city like a village-like community. A mix of low-rise buildings connected by footbridges are nestled into the landscape. Curving, ascending corridors and elevated pathways weave through the commercial buildings. Activated by public gardens and social spaces, they create a spiritual and poetic retreat in the middle of the city. 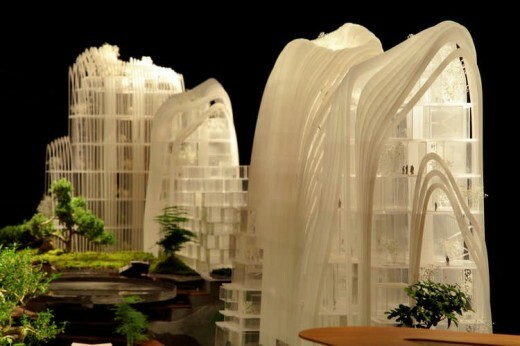 Along the edge of the site, surrounding the village, are mountain-like towers that appear to have been carved out by wind and water. 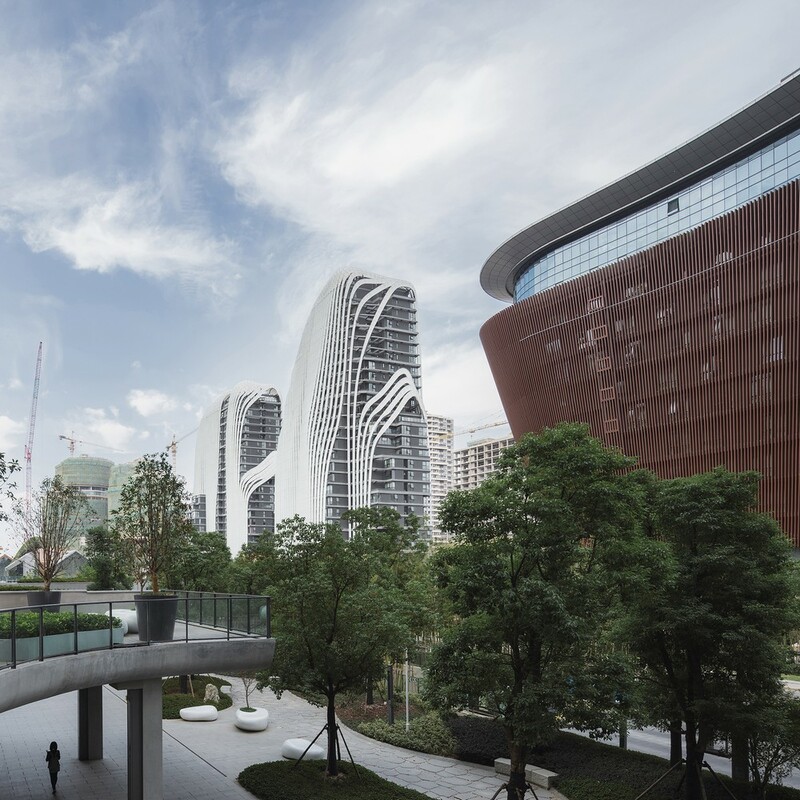 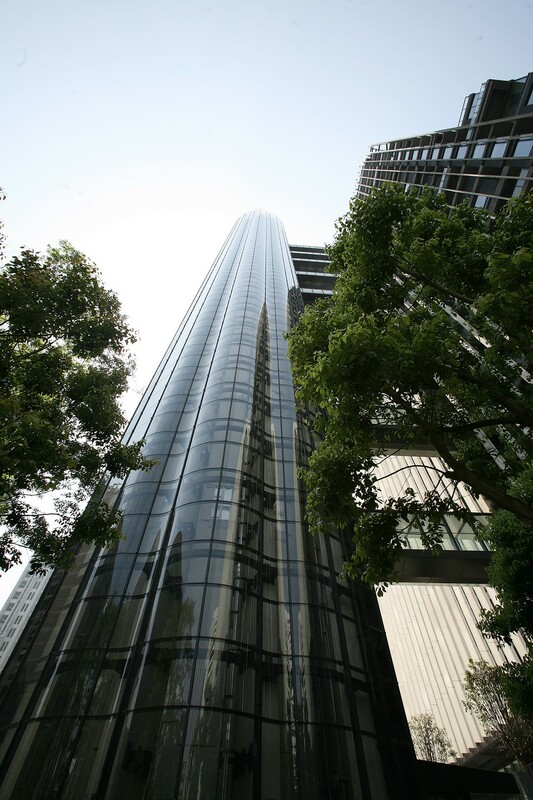 Defined by white, curved glass louvres that ‘flow’ like waterfalls, they reflect Nanjing’s surrounding mountain ranges and meandering rivers. Water features, such as ponds, waterfalls, brooks, and pools connect the buildings, while trees and rich plantings see the artificial and manmade coalesce with one another – forming a rich, architectural landscape. 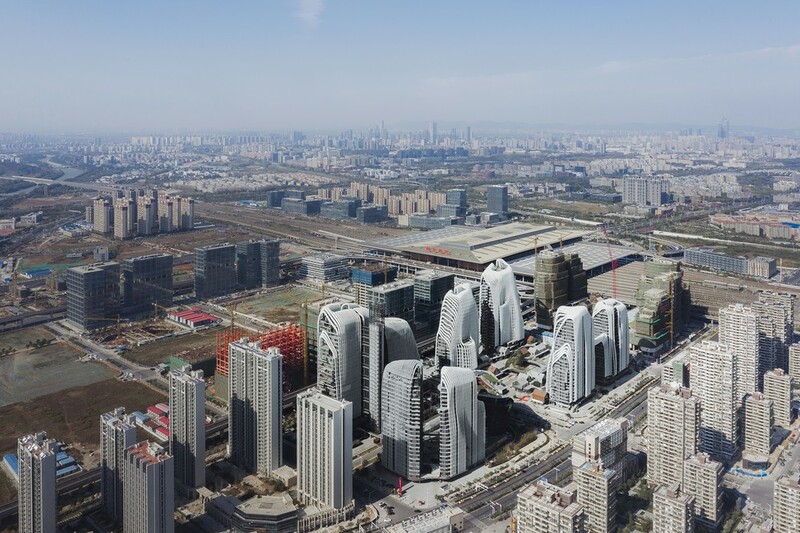 Currently in the third and final phase of construction, the “Nanjing Zendai Himalayas Center” is expected to be completed in 2020.